With a significant nod to the arts and crafts movement, eight leading Australian artists have produced a striking range of contemporary wallpaper designs. These artists are part of the current flipside of contemporary art, where the focus is not on new technologies but rather on subtle meanings and the intimacy of the handmade. Curated by Simon Mee and William Wilding, participating artists include Sadie Chandler, Megan Keating, Rob McHaffie, Simon Mee, Lisa Radford, Tiffany Shafran and Anne Wallace in collaboration with Aaron Hill. A University of Southern Queensland Gallery travelling exhibition. 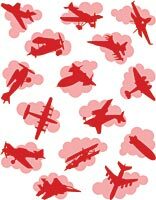 Image: Megan Keating, Warpaper (detail) 2009, wallpaper design. Courtesy of the artist.